STEMM-CCS scientists are once again heading to the Goldeneye site in the North Sea to continue baseline studies, prior to the main controlled CO2 release experiment cruises in 2019. 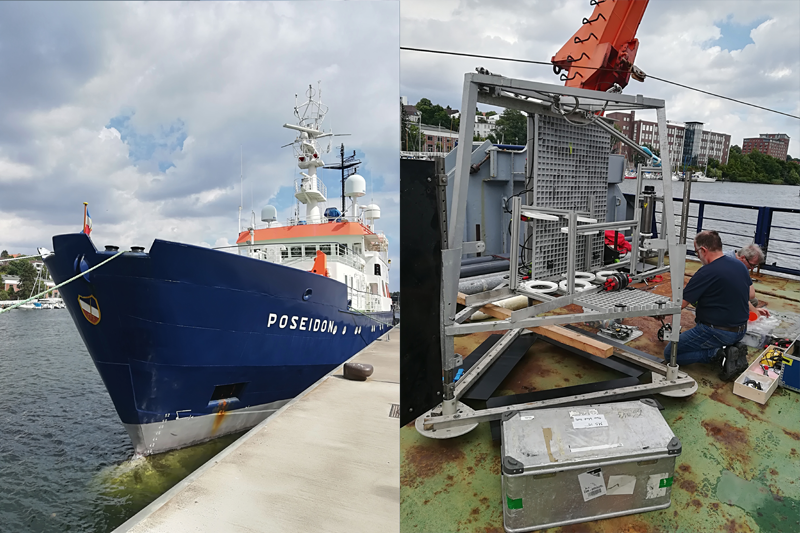 Led by Prof. Eric Achterberg aboard the German research ship RV Poseidon, they will depart from Kiel on Wednesday 15th August, returning to Kiel at the beginning of September. As well as making water column measurements, taking porewater and sediment samples and testing chemical and hydroacoustic sensors, the seabed lander will also be retrieved in order to service it, replace/refurbish sensors and download data from the last 10 months. The lander will then be redeployed until the main cruises next year. Read all about work onboard during the cruise on the STEMM-CCS cruise blog which will be updated once RV Poseidon is underway.